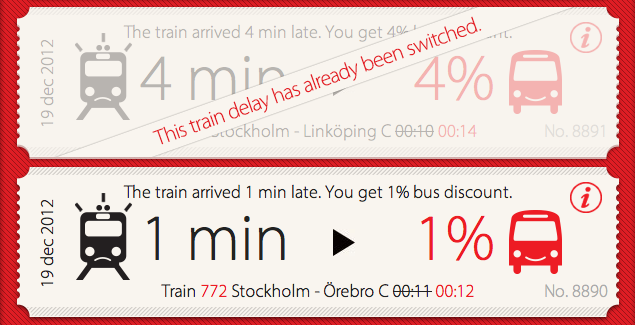 Finally, a company that’s holding themselves accountable for their service and compensating you for your time! 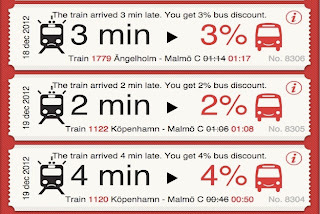 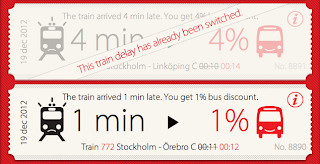 Swedish bus company Swebus, is offering a special deal where their riders receive a 1% discount on the fare for every minute a train is late. 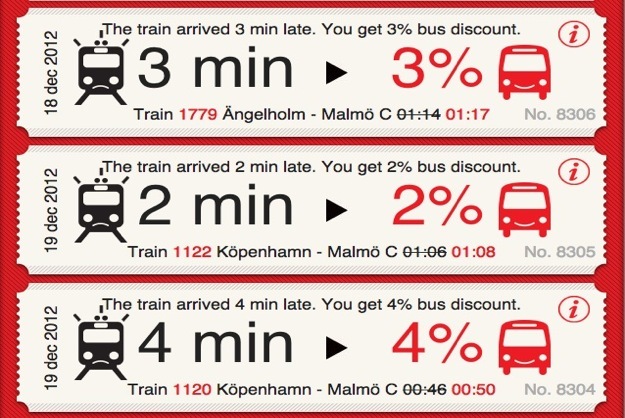 This adds a fun element to train delays, since the app only generates one coupon… it’ll pay to be vigilant.